Please note, a book cannot be renewed if it is overdue. It is your responsibility to know the due dates for your borrowed materials. Please note that username refers to your LibraryID username. This the username created when you first interact with our Circulation Desk (usually the bar code on your student card that starts with 21520000) If you do not know what your ID or password is please contact the Circulation Desk. Click here or on the image above to to login and renew your books. the book(s) are out on a semester loan. NB: It is your responsibility to know which books were successfully renewed and which were not. The due dates stamped at the front of the books will no longer be valid. Call or visit the Circulation Desk immediately if your renewal did not work. 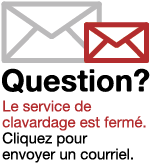 As a courtesy, the Library sends out email pre-overdue notices to your Algoma University email account if we have it on file. Pre-overdue notices will only be sent to and from Algoma University email accounts in order to maximize confidentiality and security. Example of a Pre-overdue notice.